How Can Web Design Impact SEO? When it comes to online marketing, SEO (Search Engine Optimization) is critical. We’ve talked a lot about content and how it can impact your search rankings, but did you know your website design can impact performance as well? It’s true! Website design and UX matter more today than ever before. Since Google and the other search engines are trying to provide the best experience possible for users, they now rely on more than just keywords in your content to make decisions. They also take stats like bounce rates and how long users spend on your website into consideration. This is where web design SEO comes into play. Today we’re going to dive into the importance of web design SEO and how to handle it the right way. When it comes to web design, there are two key components to focus on: UX design and SEO web design. You can check out some of our other blogs to find out more about UX design. Today we are focused entirely on SEO website design. Navigational SEO — Search engines look for intuitive site structure as criteria. Image SEO — How well you manage your alt attributes on images can impact your ranking performance. Content SEO — All of the content including your title tags, URLs, meta descriptions, and heading tags impact rankings. Schema SEO — Incorporate structured data into your SEO strategy. 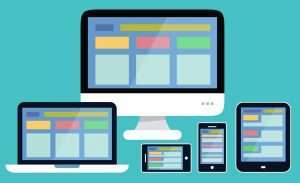 Responsive SEO — Whether or not your website is built with responsive design can impact your rankings. SEO Management — Continual management of your SEO strategy, links, and website to stay on top with search engines. Any of these elements alone can improve your rankings. However, a strategy that incorporates all of them effectively will help to drive you to, and keep you on, the first page of search results. When creating your SEO strategy for 2019, take a hard look at your website to see how many of the items from the list above your incorporating into your current website. The shortlist of items above are just some characteristics a properly SEO designed website will incorporate. At a minimum, your website should be able to check off all items on that list. If your website isn’t designed for SEO, it’s time for a change! SBOS Web Solutions is an SEO company in St. Louis that knows a thing or two about UX and SEO web design. Contact us and let us create an SEO strategy and web solution that gets your business ranked!